Apple hasn’t seeded the finished version of iOS 8.2 to the public yet, but has gone ahead and released the first beta of iOS 8.3. Last week, the fifth beta of iOS 8.2 was seeded to developers and is still under testing. iOS 8.3 beta 1 carries the build number 12F5027d and is currently available for download via OTA update or the developer portal. A recent report stated that Apple could release iOS 8.2 next month, but before the launch of Apple Watch in April. Early tests show that the new iOS 8.3 beta comes with some new features. The beta includes Google’s two-step verification process for Google accounts and a brand new emoji picker, new emojis with the option to select skin tones. 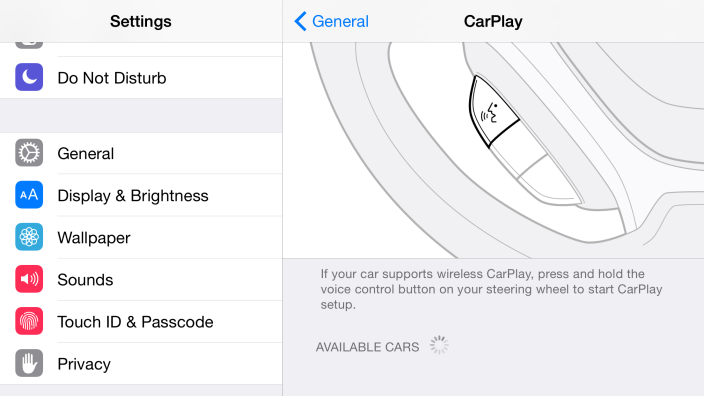 Another new feature found in iOS 8.3 beta is the CarPlay setup screen. This could mean that iOS 8.3 will bring wireless CarPlay support to iOS devices. Apart from all that, the beta also adds support for the China UnionPay network within Apple Pay. We’ll keep you posted of other changes as soon as they’re found. Xcode 6.3 beta with Swift 1.2 were also released with the update.